"Breast reconstructive surgery is very rewarding. We are dealing with a situation in which women experience a sudden loss of a part of their body, which is not just a physical challenge, but a psychological one as well. With reconstruction, we are giving them back something vitally important." Dr. Tushar Patel is a specialist in reconstruction after cancer surgery and traumatic injury. His exceptional microsurgery training enables him to perform the most sophisticated reconstructive procedures to treat facial and extremity deformities, as well as breast reconstruction. Dr. Patel is double board certified in plastic surgery and general surgery by the American Board of Plastic Surgery and the American Board of Surgery. He is a Fellow of the American College of Surgeons (FACS) and a member of the American Society of Plastic Surgeons. These distinctive accomplishments, together with his interest in advanced reconstruction, have allowed Dr. Patel to be an active member of the reconstructive team at the Cancer Institute of New Jersey in New Brunswick. Dr. Patel received his undergraduate degree from Rutgers University, graduating with honors. He earned his medical degree from the University of Medicine and Dentistry of New Jersey-Robert Wood Johnson Medical School, from which he graduated in the top of his class. Dr. Patel then completed training and became board certified in general surgery at Robert Wood Johnson University Hospital, earning the award for academic excellence during his surgical training. He completed a one-year fellowship in the National Institutes of Health-funded laboratories in the Department of Surgical Sciences at Robert Wood Johnson Medical School. His research led to multiple publications in peer-reviewed journals as well as presentations at several national meetings. Dr. Patel continued his training in the University of Texas-Health Science Center’s plastic and reconstructive surgery fellowship program at the world-renowned Texas Medical Center in Houston. While at UT, he also trained at the prestigious MD Anderson Cancer Center, where he learned some of the most advanced and pioneering techniques in breast cancer reconstruction. These techniques include the DIEP (perforator) flap as well as the muscle-sparing TRAM flap. 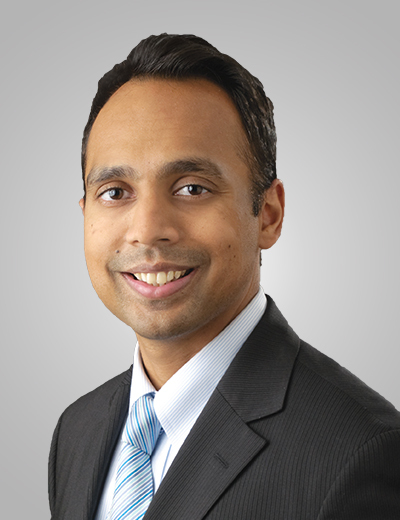 Dr. Patel is also an expert in orbital decompression for Graves’ Ophthalmopathy. Dr. Patel is an Assistant Professor in the Department of Plastic and Reconstructive Surgery at Seton Hall-Hackensack Meridian School of Medicine. He has been recognized by The Consumer Research Council of America as Top Surgeon and Top Plastic Surgeon since 2007 and was named Top Doctor in New Jersey Monthly. Dr. Patel has also been named a Castle Connolly Top Doctor. Dr. Patel’s patients on his missions to do surgery on facial deformities are generally babies, so that they don’t grow up with the stigma. However, a 19-year-old in India had a cleft lip repaired as a child, but she also had a cleft nose and a nasal deformity that were never corrected. She was a very pretty, smart girl. Since the surgery is usually done only on the very young, her parents pleaded, as she lived in a culture in which her deformity meant she would never marry. Dr. Patel and his team decided to stay late on a Friday evening to do the surgery, finishing around 10 pm. It was a life-changing result for the girl, allowing her to be accepted by her society.